I don't often get to write about pros who never played the American game, so Minoru Nakamura's arrival was my first big hit for 2015. After 15 years of working on this type collection, it's no surprise I'm down to the rarest of the rare for both domestic and foreign sets. 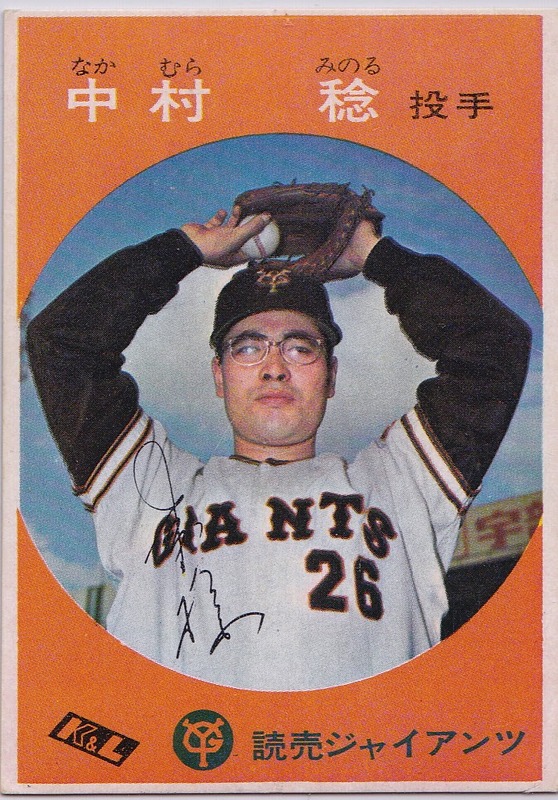 1967 is a watershed of sorts for Japanese collectors, as this marked their first comprehensive "American-style" card set. 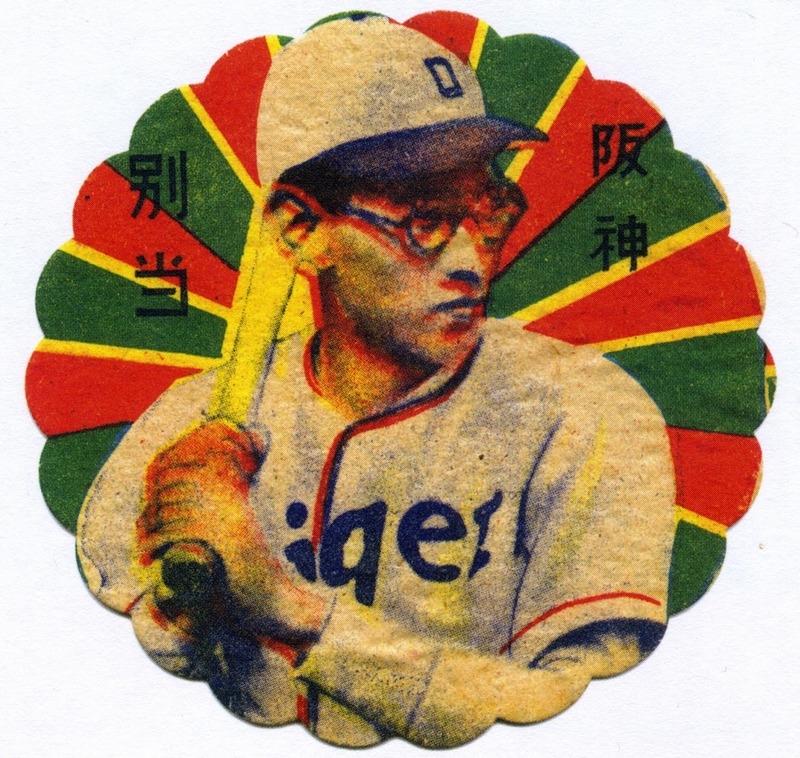 Prior to Kabaya-Leaf's effort, Japanese companies highlighted specific teams or star players in more traditional designs, like the rounded Menko game chip. If you Google for "Kabaya-Leaf," this single 1967 baseball set is their company's legacy, as collectors and auction houses post about its famous and obscure players. Their set, in turn, tapped into American tastes by mixing the Topps designs from 1959 (like my #5) and 1963 (below). According to Japanese specialist Rob Fitts, American collectors have more access to Kabaya-Leaf cards because stateside importer Mel Bailey purchased a significant amount of the Japanese print run and resold them via collector newsletters in the 1970s. This also explains the higher grades found in what exists in the hobby, as collectors would be less likely to handle and mangle them than kids at a candy counter. The first stat column isn't age, as Minoru was in his late 20s in 1967. It reflects Japan's traditional, Imperial dating system and 1966 marked year 41 of Showa, under the long-lived Emperor Hirohito. 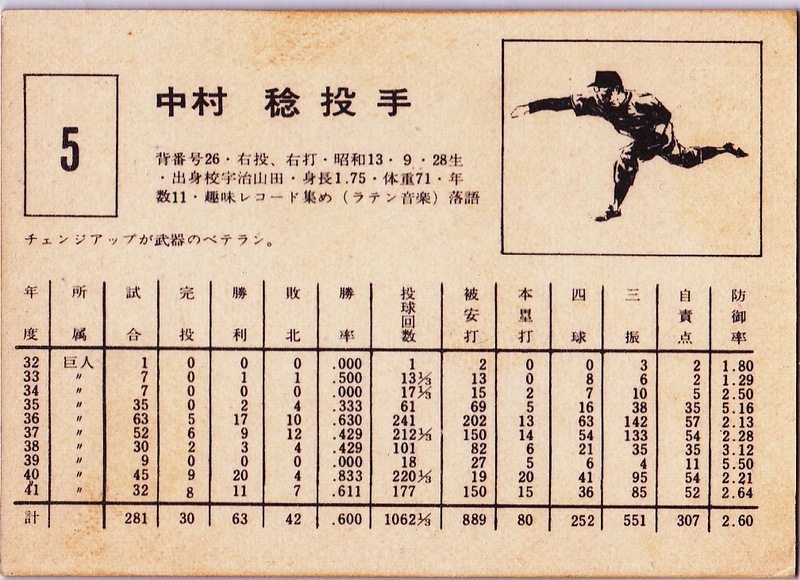 The second stat column, mostly as quote marks, tracks Nakamura's one-team career with the Yomiuri Giants. He pitched there for 13 years (career stats) and for five straight title-winners (1965-69), a nice entry on any pitcher's resume. It's possible Kabaya-Leaf prepped a larger set for the entire league, but printed just the most successful teams for financial reasons. 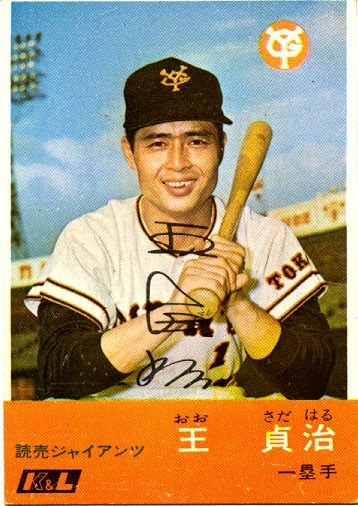 Their complete 1967 checklist includes players from six of the 12 Japanese pro teams and skips whole swaths of numbers, with just 105 total cards despite numbering to #410. Several players catalog as "short prints," probably because the American importer couldn't obtain those cards in the same quantity. Value: I bought this EX #5 for $30 on eBay. A top-tier set auctioned for $17K in 2010, so you'll have to compete with deep pockets if you go after high-grade cards. Fakes / reprints: It'd be pretty easy to fake this cheaply made set, but advanced collectors might see right through them, so I doubt many exist. If you're purchasing Japanese HOFers, stick to dealers who know foreign sets well.